HIIT workout stands for High-Intensity Interval Training workout. Whereas a traditional cardio workout is all work and little rest, HIIT is the opposite. The ratio of work to rest time is more balanced. Think of a soccer game, they run, and then they rest. Also, think of the physiques of a soccer player. Pretty ripped, right? Those guys don't look like they have any problems with weight loss. High-intensity interval training involves working out as hard as you can for a short period of time followed by a short, less-intense period, says Walt Thompson, lead researcher on the trends report and a regents' professor of kinesiology and health at Georgia State University in Atlanta. An HIIT workout is an excellent way to rebuild your body fast. This HIIT type of training gets and keeps your heart rate up and burns more fat in less time. The HIIT workout creates an afterburn effect known as the Excess Post-Exercise Oxygen Consumption (EPOC). This afterburn effect is the furnace that can incinerate your fat more effectively than steady state cardio. For example, steady state cardio is a two hour walk around the park. All work, little rest. But the work is not intense at all. Are you sick of working out for an hour or more and not seeing results? An HIIT workouts is designed to give the busy person no excuses for being fat. You probably have at least 30 minutes a day that you can devote to your health. Thirty minutes is more than enough time for a simple HIIT workout. The secret to a good HIIT workout is to keep your rest periods between sets down to 30 seconds. Instead of resting up to 5 minutes between sets, you will be resting just 30 seconds. This is why high intensity interval training HIIT workout requires a higher level of intensity than traditional cardio. You can do this HIIT workout at home or in a hotel room. So, you have no excuses when you are on the road or do not have access to a gym. Start with a number of repetitions for each exercise which is comfortable for you. If you can do 5 pushups, then start there. Don't give up. If you can do 40 pushups, then start there. The same idea applies to all of the other exercises. 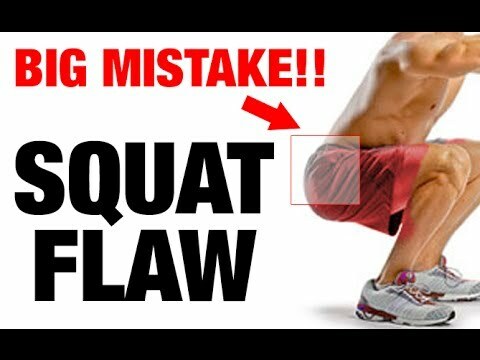 Instead, I wrote this post on One great beginner squat workout. Do this workout and you will increase your overall body strength. And even growth hormone. See this post to learn about about the powerful benefits of squats. If you went to school gym class, you know how to do jumping jacks. This is a very basic example of a simple HIIT workout. Use a short amount of time to rest, no more than 30 seconds in between each exercise. Do two circuits or pushups, situps, squats, back extensions and jumping jacks. This routine will take you less than 30 minutes. Caution: make sure you have your doctor's approval before starting any exercise routine, especially a HIIT workout. A HIIT workout by definition will take you a shorter amount of time. Because, you are resting less between sets, as little as 30 seconds. If you are tired of spending a lot of time in the gym, welcome to nirvana. Of course, this does not mean that a HIIT workout is easy. On the contrary, an HIIT workout is going to tax your muscles and recovery time. But, by the end of the workout, you will know that you worked out. And, you will need to take the next day off for your muscles to recover. As you can see from the HIIT workout example above, you do not need weights. You can do a HIIT workout at home. How would you like to keep your fat burning furnace stoked even after your workout? This is the essential difference between aerobics and an HIIT workout. With aerobics, or other steady state cardio, you burn fat while you are working out. As a result, if you take an hour or two hour walk, you will be burning calories while you are walking or running. But, once you sit down again, your metabolism will go back to where it was before your exercise. Any workout though, which builds muscle, like body weight training or barbell/dumbbell weight training, will raise your metabolism. Your metabolism rises because you created an oxygen deficit during your HIIT session. In addition, your body needs to repair the damaged muscle fibers, which raises your metabolism as well. When Should You do HIIT? Try to do your workout in the morning. If you need to get to sleep earlier, so you can wake up earlier, great. You benefit either way, by getting to bed earlier in the evening. If you train in the morning, at least you know you have done your workout for the day. So, if anything else comes up during the rest of the day, you took care of yourself first. Of course, there are infinite variations of HIIT workouts. And you do not have to get complicated for a full body intense workout, even without weights. Which workout is best, with or without weights? The answer is that the best HIIT workout, is the one that you will stick with. Consistently. Every day, every week, every month, till you reach your goal weight and body fat percentage. If you are consistent, the fat loss and hiit transformation is sure to follow. Please comment on how you like this HIIT workout. As you can tell, I am a big fan of an HIIT workout. Do you have other simple HIIT workouts suggestions?